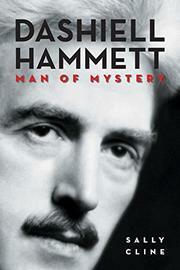 Concise biography of Dashiell Hammett (1894–1961), literary pioneer and luckless radical. Royal Society of Arts fellow Cline (Zelda Fitzgerald, 2012, etc.) argues that despite his limited output, Hammett “transformed and subverted the detective novel form by his moral vision, propelling the mystery genre into literature.” Certainly, Hammett’s raucous life—bridging the hardscrabble, proletarian 19th century and the slick, unforgiving postwar era—taught him hard moral lessons that informed his fiction. His story is well-known, although Cline provides new insights via her interviews with Hammett’s daughter Jo. Following an apathetic youth, Hammett was thrust into manhood by service in World War I and early employment with the Pinkerton Detective Agency. These transformative experiences gave Hammett discipline and a fondness for masculine environments while sparking his complex relationship with money and the working class. Once he began placing stories in magazines like Black Mask, he became prolific, producing his five novels in a six-year period. Lean, intense books like The Maltese Falcon (1930) proved popular enough to fundamentally alter the American pop-culture vocabulary, just before the Depression. Hammett then veered away from his literary ambitions: He drank excessively for the next two decades, harming his already fragile health, tried his fortunes in Hollywood with diminishing returns and famously embarked upon a contentious yet mutually nurturing relationship with Lillian Hellman. Hammett volunteered for service in World War II yet was pursued by the FBI during the Red Scare of the 1950s, serving time in federal prison rather than testifying about his leftist connections. Although Cline discusses the plots and literary qualities of Hammett’s novels, she generally connects such elements back to the author’s increasingly complicated personal life and the tenor of his times, an approach which makes this brief biography seem efficiently rendered. Crisp portrait of the life and social environment of a principled, self-destructive, singular cultural figure.